The GRI Club Infra Mexico is part of the GRI Club Infra, a global club of leaders in the Infrastructure sector. GRI Club brings together investors, developers, operators, lenders, government officials and other industry specialists. GRI Club Infra Mexico hosts various activities among those behind closed doors club meetings throughout the year and the topics covered are requested by the membership. The annual conference is open to non-members, as the club meetings are reserved exclusively for the GRI membership. 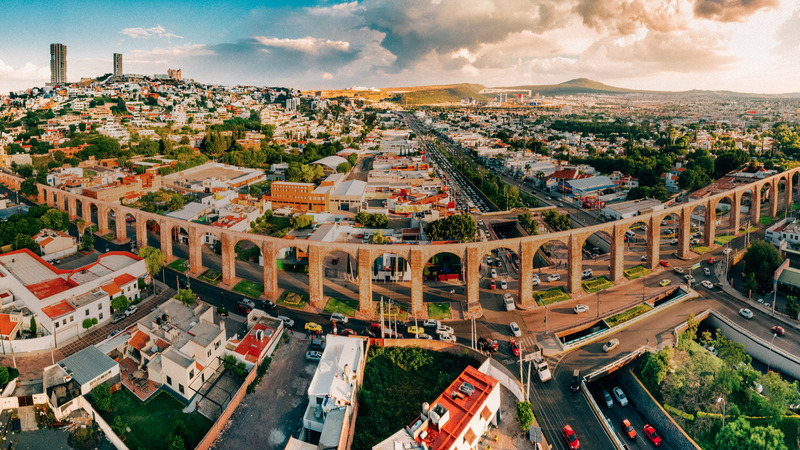 Mexico Infrastructure Partners (MIP) is an independent Mexican fund manager of alternative investment vehicles, such as Promotion of Energy and Infrastructure in Mexico (EXI). Based in Mexico City, Alonso plays a key role in developing and managing CDPQ's investments in Mexico and Latin American region. He also establishes and maintains close relationships with key public and private institutions to reinforce CDPQ’s positioning as a long-term partner and investor in the LA region. Before joining CDPQ México, since 2011, he was Corporate Managing Director, Public Sector and Capital Markets – Latin America at Citi and Banamex. Previously, Alonso worked as Chief Executive Officer of Banobras and Deputy Minister of Finance and Public Credit in the Mexican Ministry of Finance. He also held several positions at the Central Bank of Mexico over almost 20 years, including as General Director of Operations. Focused in origination, structuring and management of debt and equity investments since 2006, Andres is currently based in Mexico City, where he moved from Washington DC in November 2014 and from where he now leads IFC’s infrastructure business origination in Mexico and Central America. He has more than 12 years of emerging market investment experience, including 10 years in the energy sector with IFC globally. His responsibilities currently also include originating and structuring equity transactions comprising co- investment opportunities in Mexico for the US$1.2 billion China-Mexico Fund managed by IFC’s Asset Management Company. He received an MBA from the IESE Business School (Barcelona, Spain) in 2006. Benjamín Torres-Barrón leads Baker McKenzie's Energy, Mining & Infrastructure Practice Group in Mexico. He handles all legal matters related to the development of real estate, mining, infrastructure and major projects, and advises clients on the development of projects relating to electricity, oil, gas, fuels, water, waste, LPG, LNG, biofuels, energy efficiency and public bids called by Mexican government agencies. Benjamín also represents clients before the regulatory authorities and agencies in matters regarding permitting for energy projects, and advises clients on maritime and navigation matters, due diligence, contracts and financing, as well as regulatory issues. Since 2015, Eduardo is the CEO of CKD Mexico Infrastructure, an infrastructure fund with US $ 1,000 AUM. Eduardo has over 20 years of experience in the execution of investment banking transactions, financing of infrastructure projects in Mexico, Europe and the United States. Eduardo received his BA in Business Administration and a Masters in International Business from the ITAM. Throughout his career, he has led the structuring and financial closure of several transactions in the market, among which stand out the largest photo voltaic-de Peru solar plant, in the amount of US $ 170 million and the securitization of toll of the Monterrey-Cadereyta highway in the amount of US $ 200 million. Mr. Mario Gabriel Budebo obtained his Bachelor of Arts in Economics from Instituto Tecnológico Autónomo de México. He obtained a masters degree and PhD, both in Economics, at UCLA. He is founder and CEO of Mexico Infrastructure Partners, a company that manages funds, aimed to the Energy and Infrastructure sectors in Mexico. Mr. Gabriel Budebo has made most of his professional career in the Mexican Government, designing public policies in several areas such as taxation, development banking, public finance, pension regulation and hydrocarbons. Mr. Gabriel was awarded with the National Banamex Prize on Economics, Tlacaélel Prize on Economic Consulting and received the Professional Merit Award from ITAM.